• Balls are placed on the floor on each block. 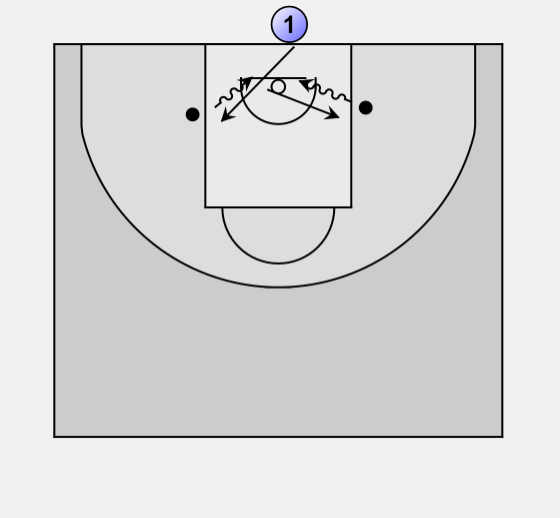 • 1 sprints out, picks a ball and completes a lay-up with correct technique, after shooting sprint to the opposite block and repeat. • Have a coach or team mate handy to collect balls and place back onto the block. • We also add dunks for the bigs.